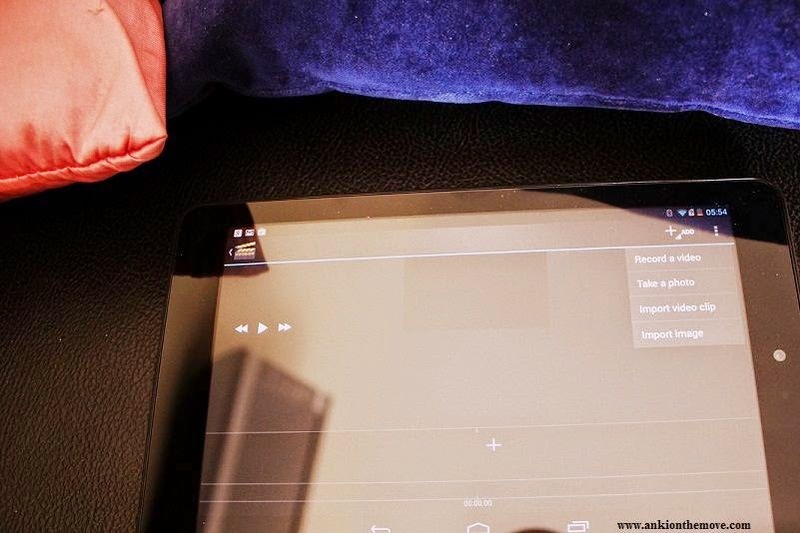 If you remember last time,you would recall how gaga I was for the new Dell Venue 8 .I told you its unique,its lightweight and discussed some of the interesting features which you might not know about this new product.Now again,it wasn't the end of all I said “Not just a Tablet,Not even a miniature Laptop” its more than that because its so easy to carry that you wouldn't even feel you are carrying one - it fits into your purse right in. Now for me,Travel Videos are important - a lot of my friends ask me how do I make videos.Although making a real Travel Video with seamless sequence edits take time,there is always another option.I always used to wonder,if instead of carrying my whole laptop,if I could get a more convenient one let’s say a miniature version,which does a quick video editing,I would be more than happy.I mean recording the short snippets then would be so damn easy. Sometimes when you are trekking on mountains,or walking on places which are very inaccessible otherwise,or a surprise party at home when you feel like recording you and your friends voice,an occasion like impromptu baby cries and smiles ; carrying a DSLR at your arms length isn’t always that handy. Dell Venue 8 just exactly do that - take out the burden part to a more convenient part.Apart from the front and back cameras,the video options can also be used for Video Recording purposes and even Editing.The Big HD Screen Helps a lot in viewing each frame with clarity. So we tried some of the options in the Video Editing app which works exactly similar to how a video editing software would on any of the laptop.If you have worked on Movie Maker,you would know the literal terms such as projects,frames,transitions,text,In and Out etc.When we choose the app “Movie Studio” it asks for a new project,we can give a new project any name.After which we can either record a video(and keep recording and adding frames) or we can import a set of videos for editing.After which we have very smooth play,forward,rewind buttons on screen which helps see if the videos are in sequence. When we are sure they are,we can add Transitions or Title text.There are several options to choose from so this comes very handy.To top it all we have a add music button where you can add your own music to the video(either downloaded or your own music in background).And once it is done,can share it to all the Social Networks listed. Isn't that cool? makes it an easy bet when taking interviews/ selfie recordings/and many more other stuff yet to come in further posts. I love shooting little family videos on our holidays! Looks like the Dell Venue is a great companion for editing as well! Loved your review, I always make short videos for my friends and our best pics slideshows, so awesome that I can do it on tab instead of lugging my laptop everywhere!